Style your wardrobe staples with classic gold pieces for a stunning look on every occasion. Elegant 10ct gold pieces for a standout look every day. Style the look of your dreams with this mini pendant crafted in 10ct yellow gold. Keep time in style with this Emma & Roe watch with gold tone stainless steel. Featuring a simple-yet-stunning white face, paired with interchangable black suede leather straps and water resistance of 30m, it is the ultimate in versatility. Dimensions - Face: 40mm. Adjustable Strap - Width: 20mm. Length: 16cm-20cm. 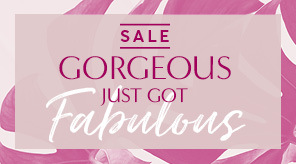 Exclusive to Emma & Roe. Keep it casual with interchangeable coin lockets, leather bracelets with delicate charms and a luxe watch. 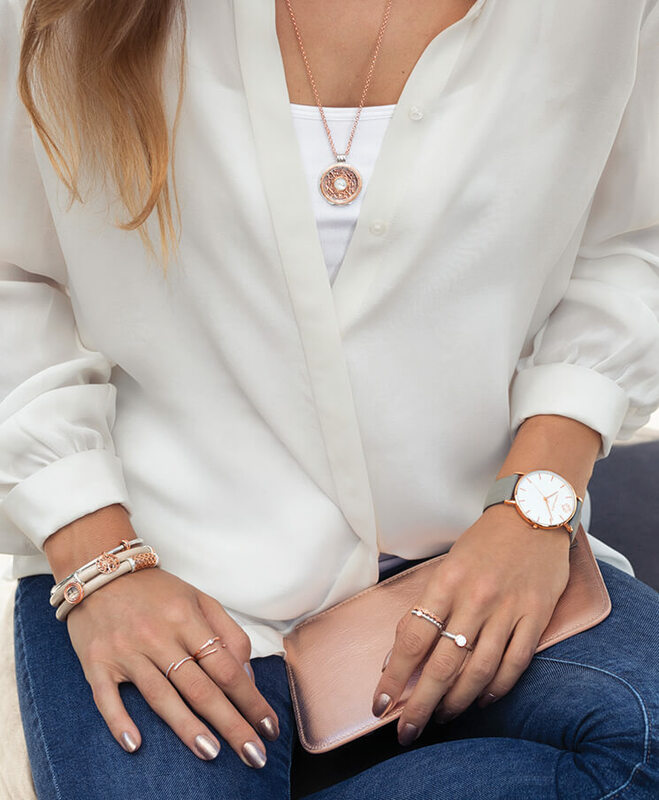 Create your own look with this 10ct rose gold coin locket insert. Featuring a finely crafted pattern, and centred with a single mother of pearl, this elegant piece is sure to draw many admiring glances. Coin locket frame & chain sold separately. Keep time in style with this Emma & Roe watch with rose tone stainless steel. Featuring a simple-yet-stunning white face, paired with interchangable grey suede leather straps and water resistance of 30m, it is the ultimate in versatility. Dimensions - Face: 40mm. Adjustable Strap - Width: 20mm. Length: 16cm-20cm.. Exclusive to Emma & Roe. Take your look from desk to drinks with some bold statement pieces.